The short answer is: “Lots of ways.” Here at OpsDog, we’ve got scads of experience with big data in banking, based on our work with banks of all sizes, across the country. We’d like to share some of that experience, and the insights it generates, with you in this article. First things first, however. “Big data” is a fashionable catchphrase, but wield it with caution. As we’ve said numerous times in these blogs, “bigger” doesn’t automatically mean “better.” The data must be clean. It must be available. It must be relevant. And it must be wrangled in a way that gives you actionable insights. That may sound like an IT challenge. But don’t be fooled. It’s a business challenge. Sure, it takes IT skills to clean and wrangle data. But it requires business acumen to assign the right information to your big-data-in-banking challenge. That’s where you’ll get the KPIs that matter. You needn’t be a Wall Street behemoth to have a lot of big data in banking. While we work with these mega-banks all the time, we also apply data science in retail banking to local and regional banks. They may be small, but their data is big. What, then, is data science in banking? It’s a field of analysis that combines different scientific methods and systems to wring knowledge from banking data. You might know it as data analytics, business analytics, or even business intelligence. There are lots of names out there, but the goal is the same: transforming all that big data into profitable decision-making. When working with major banks, we’ll often encounter a disconnect between the senior leaders and the retail banking branches. Everyone knows there’s room for improvement. They just don’t know where to look. This is where OpsDog can, and does, help. We’ll wrangle the data, clean it, run the numbers, and generate made-to-order insights that provide “aha” moments and operational improvement opportunities. Best of all, our teams routinely do all this remotely. That’s fast, easy, and incredibly cost effective. It’s the best way to leverage data science in retail banking. Investment management is a ripe area for big data in banking. If it feels like you’re following your gut, then that’s the wrong feeling. Time to put big data to use. 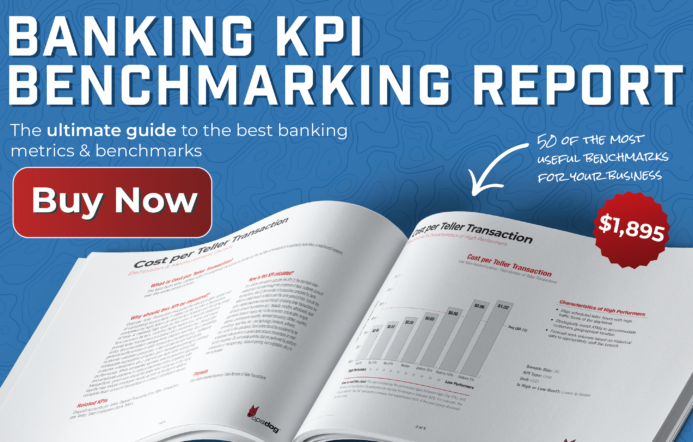 The key here is KPIs: key performance indicators. (Want to learn more about what they are? Check out our informative “KPIs 101” articles. 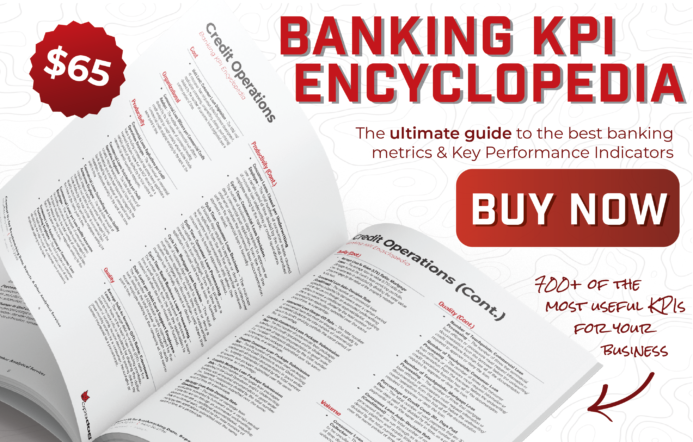 Want to download the essential KPIs for your bank? Just click here.) These are the metrics that really let you visualize performance and correlate it to regions, functions, even individuals. Chances are, you already have tons of data—i.e., “big data”—on all this. But you need to draw comparisons between the right portions of data (the numerator vs. the denominator) to arrive at the KPIs that matter. But once you do, the power of big data in banking really pays off for you. Whereas before you had to rely on qualitative factors, now you can quantify and visualize them. The new quantitative data can help you lower cost, increase productivity, and improve the customer experience—not a bad outcome! Here’s how we tackle a project like this at OpsDog. When we work on big data in banking projects, we take data from multiple sources and aggregate in a way that makes sense for our clients (i.e., you). The best part? We work with you to identify what data exactly works best for your needs. That way, everything matches and matters to your bottom line. Need data for behaviors or opinions? Lacking insight into internal performance data? All that and more is possible with big data. By the way, if it wasn’t clear to you, know that OpsDog offers products and services. The products are the things like KPIs and best practices that you can purchase (inexpensively!) and download (instantly!). The services are customized, like when we remotely wrangle your own data for you, and deliver things like beautifully informative dashboards, as we’d described above. Learn more about our custom services here. Big data in banking, simply put, brings improved volume and variety to data sets. It also makes aggregating data, once cleaned, faster. We bring it all together to improve your banking services. Contact us today to get started.